When NASCAR was last at Dover International Speedway back in June Kyle Busch started on the pole, Martin Truex Jr. second. Sunday those spots will be reversed for the Monster Energy NASCAR Cup Series Apache Warrior 400. 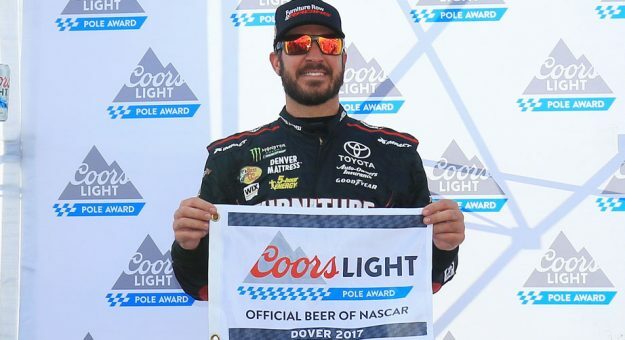 Truex, the defending race winner, denied Busch his third consecutive pole Friday putting down a lap of 22.407, 160.664 mph just past halfway of the final five minutes to win his third career Dover pole and the 14th of his career. The lap came just after Busch, who led the first two rounds had taken the provisional pole. 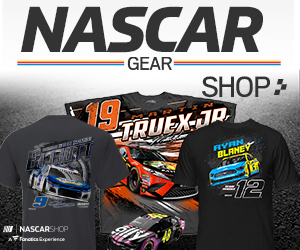 It was the second pole of the season for Truex who won in Chicago and has already secured his spot in the next round, as has Busch, last week’s winner. Kyle Larson, Matt Kenseth both playoff drivers will line up third and fourth behind with rookie Daniel Suarez rolling off fifth. While Truex and Busch have already punched their respective tickets to the Round of 12 four drivers are in danger of missing the cutoff. All four qualified outside the top 12. Kurt Busch will start 13th Sunday, Ricky Stenhouse Jr. 15th, Kasey Kahne 21st, and Austin Dillon 23rd. The farthest back in the field however is Jamie McMurray after getting bumped out in the first round with under 30 seconds to go. He went out for a second run as time was expiring, but failed to improve, he will start 26th. Other playoff drivers outside the top 10: Brad Keselowski will start 16th, June’s winner Jimmie Johnson 17th. Up front, Denny Hamlin will start sixth, Dale Earnhardt Jr. in his final Dover race will start seventh, followed by Ryan Newman, Kevin Harvick, Erik Jones, Ryan Blaney and Chase Elliott round out the top 12. Nine of the top 12 are playoff drivers, five of the top six cars are Toyota’s. With 40 entries no team was sent home. The Monster Energy NASCAR Cup Series Apache Warrior 400 will get the green flag just after 2:00 p.m. ET Sunday with live coverage on the NBC Sports network.